As you can see, the clear majority voted to focus on a 1.0 release! And that is what we will do now! 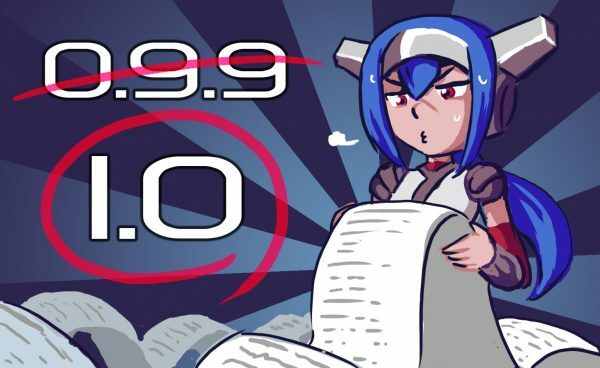 In order to accelerate development we will skip version 0.9.9 and head straight for 1.0! That also means there won’t be any version update for a fairly long time. However, we will make sure to update the Final To Do List on a regular basis (at least every month) to keep you updated on how things are moving forward! Thanks a lot for the participation in the polls and for being such a patient and awesome community in general! Can the To Do List link be pinned on Discord? I’m chomping at the bit for news! Can’t wait for the finished game! Hey there – I was wondering what the backer status is looking like for 1.0 (I don’t see it in the Final To Do List). I sent an e-mail for the chef perk awhile ago but didn’t hear anything back. Are there to be any updates for this? Thanks! Hey there! We got your E-Mails for the food perk but so far didn’t get around implementing them. That will definitely happen in time for the 1.0 release and we’ll make sure to write you about it to further discuss all the details. Awesome, as usual, you guys rock! Very nice, and looking forward to a complete playthrough! On another note, I am very surprised to see the majority of voters speak English (or at least, voted on the English poll). Hey peeps. Just wanted to give you all a shout out on how much LOVE I have for your game. Expressed in terms of credit of course, and recommendations.